CHICAGO (AP) — Prosecutors are building a case, partly on a bloody handprint and the responses of a cadaver-sniffing dog, that a former University of Illinois physics student killed a 26-year-old Chinese scholar in 2017 at his off-campus apartment. 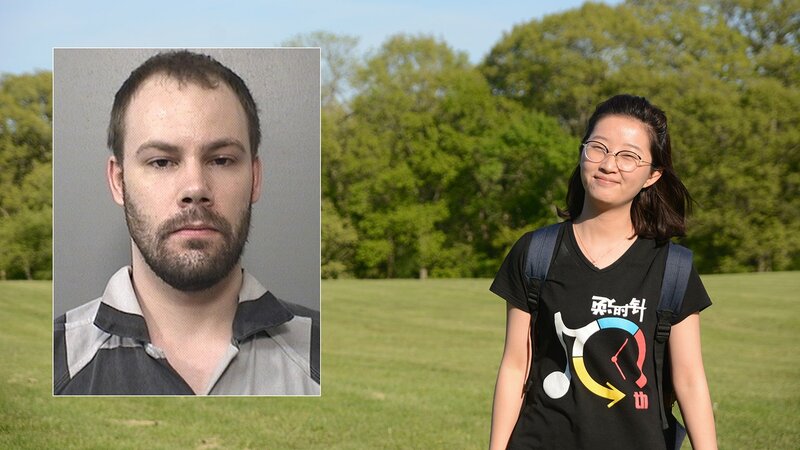 In recent filings, prosecutors revealed more evidence that they say will help prove to jurors that Brendt Christensen kidnapped Yingying Zhang in Urbana, then killed her. Complicating their task is that Zhang’s body has never been found. Prosecutors disclosed in a Wednesday filing that the bloody handprint was found in Christensen’s apartment, though they haven’t said whose hand it represents. Zhang disappeared June 9, 2017, on her way to sign a lease for an off-campus apartment in Urbana, 140 miles southwest of Chicago. She had just missed a bus when Christensen, then 27, lured her into his car, prosecutors say. Her disappearance prompted a massive search. Christensen’s trial starts April 1. Prosecutors are seeking the death penalty, saying Christensen tortured Zhang before killing her. He has pleaded not guilty to kidnapping resulting in death. Prosecutors say a cadaver-sniffing dog detected traces of a dead body in the bathroom near the door and sink. Other evidence includes the possible presence of blood on a bedroom wall and floor. Christensen’s lawyers have asked the judge to bar much of that evidence, saying Sage, the sheriff’s department’s cadaver-sniffing dog, is unreliable because of inadequate training. Defense lawyers also said initial indications of blood in some locations couldn’t be confirmed in subsequent tests. They argued some forensics techniques employed by investigators are error-prone and others simply signaled blood was present in the apartment, but couldn’t show definitively that the blood was Zhang’s. In a response, prosecutors said the defense might have had a point if investigators had relied solely on such tests. But they said the traces of blood corroborated other evidence pointing to Christensen as the killer, including secret recordings of Christensen explaining how he forced Zhang into his apartment. Zhang, who received her master’s degree in environmental engineering in China in 2016, had hoped to eventually land a professorship and help her family in China out financially. Her father, a sometime-semitrailer driver, traveled from China to Illinois in June to help look for his daughter.